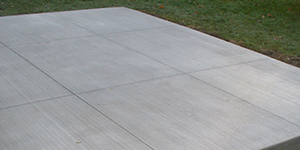 Concrete doesn’t have to be a plain boring gray slab, we will make sure your outdoor space won’t be boring. We have the knowledge and expertise to build your dream driveway that looks great and can survive our rough Michigan winters. 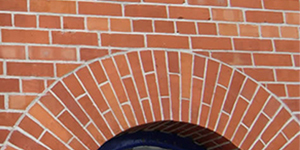 Stone and brick are great and virtually maintenance-free options for your property. They can last up to 100 years. 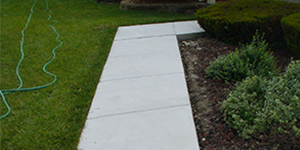 We can remove your old sidewalk or walkway and replace it, or we can build you a brand new one from scratch. Cement patios are available in many styles, patterns, colors, textures and shapes, but don’t feel overwhelmed, we can help. We make sure to start with a good foundation for any project, in the case of a garage, the foundation is everything. 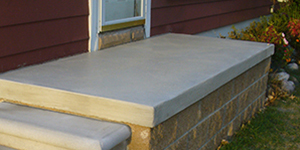 Cement porches are easy to maintain, customize-able, long-lasting, and durable. We are there for you every step of the way. Trust that we will treat your commercial project with the same attention to detail as we do for a single family home. 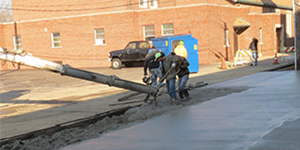 Home and business owners have come to depend on specialists for concrete pouring, placement and finishing. They recognize that cement specialists accumulate experience and knowledge by doing hundreds of jobs each year. 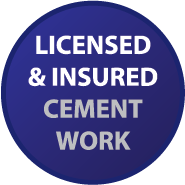 D & G Cement Co. does concrete/cement work exclusively, which makes us the superior choice for jobs that require specialized concrete experience, skill and expertise. 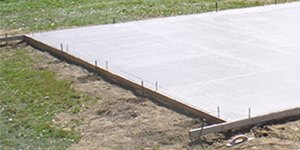 With over 50 years of experience we know concrete, and we can work with it better than anyone else in the area no matter what. 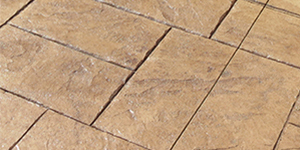 We can help you with an intricate stamped concrete porch or a simple driveway, and everything in between. No matter the project, we’ve got you covered. As a skilled and qualified concrete specialist company, D & G Cement Co. has not only superior cement knowledge, enabling us to do things that others cannot, but also competent workers who will get the job done perfectly and efficiently the first time, every time. Our over 50 years of experience add up to a considerable skill for efficiency, economy and only the highest quality results. Our knowledgeable staff coupled with modern techniques will be able to give you everything imaginable from decorative concrete patios to slab driveways. D & G Cement Co. has the skill, experience and use only the most cutting-edge techniques which make us the only choice for all your concrete needs. 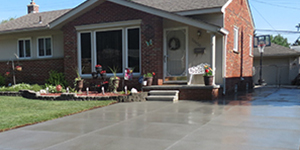 We can assist home and business owners with concrete driveways, stamped and decorative concrete, porches, patios and garage floors and foundations. Let us help you turn all of your concrete work dreams into realities.